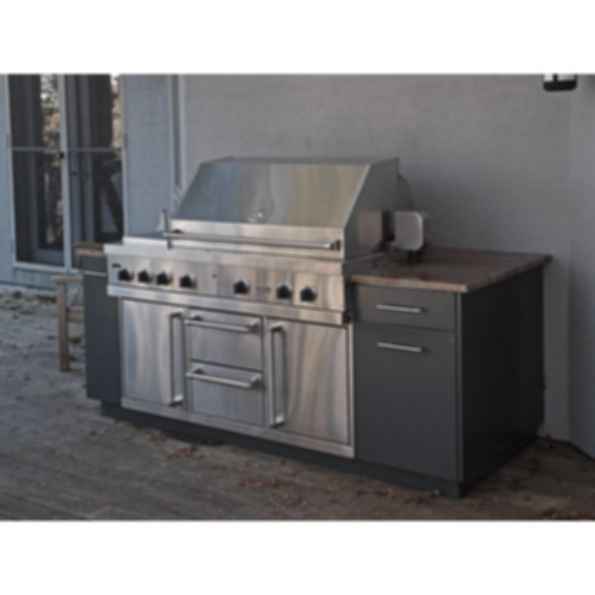 A full line of 29" deep cabinetry is available to accommodate Viking grills and appliances that require extra depth. Always specify the grill base cabinets 6" wider than the grill. A trim kit is installed during fabrication that is specifically designed for each grill or appliance.